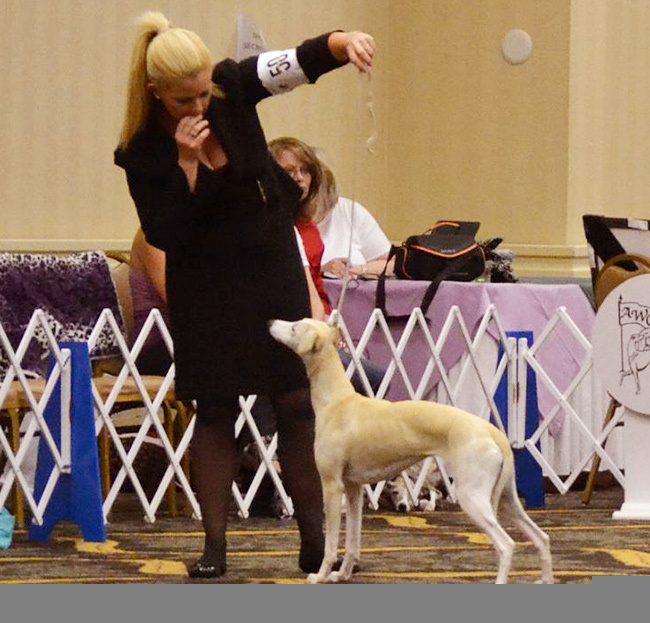 Trixie wins Specialty Best in Show at the Southern California Whippet Association under respected breeder judge Cindy Scott. 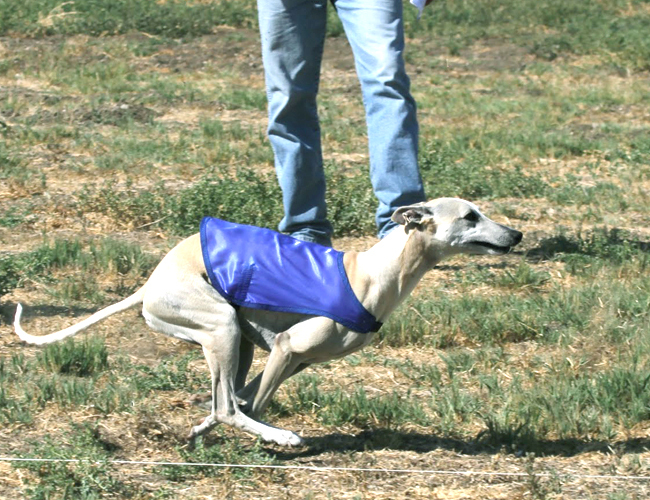 Daisy finished her championship at just 10 mos of age on the highly competive Del Valle weekend under respected hound breeder/judge Leslie Hiltz. 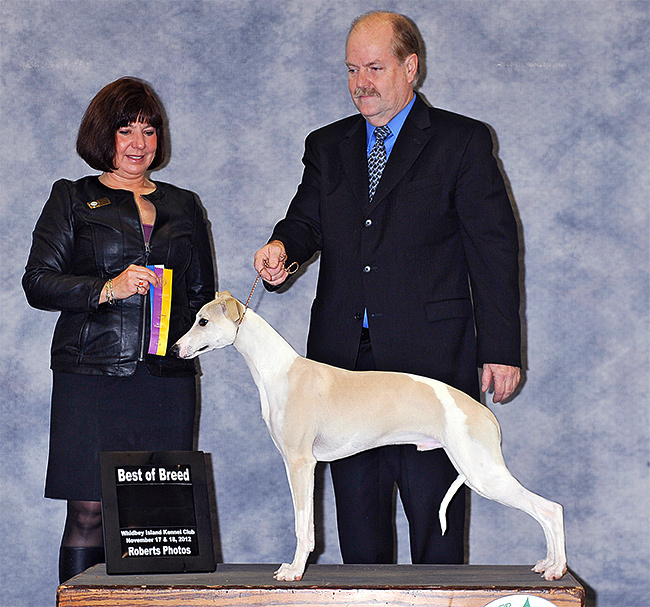 Kobe finished his AKC field championship with back to back 5 point majors and is now DC Summit Above The Rim. Congrats to Kobe kids Summit Grand Slam at Elain Ward who was WD for a 4 point major his first weekend shown at just a few days over 6 months. His brother, Summit The Puck Stops Here was WD/BOW/BOB the same weekend. What an incredible start for these youngsters. 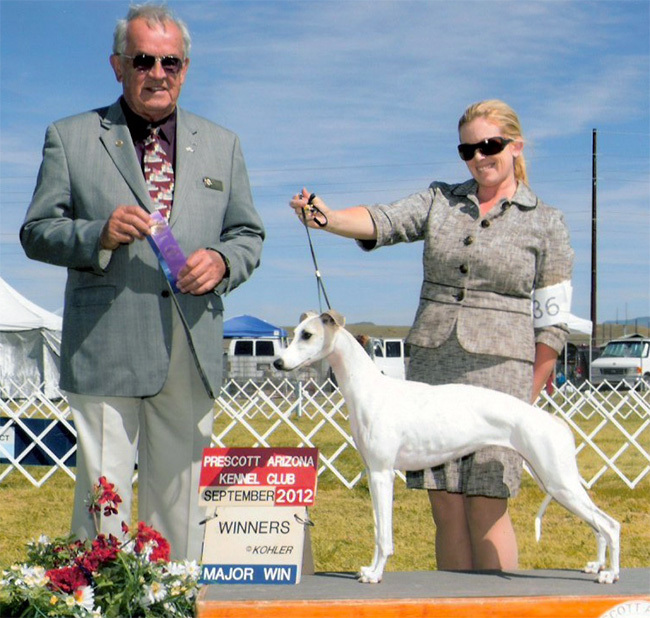 Congrats to co-owners Julie Konwent and Bill Davenport. 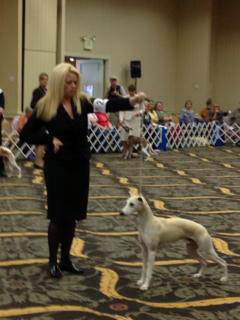 Kobe's brother Magic finished his championship on the Southern specialty weekend and is now Ch. Summit Jomyr Double Dribble. 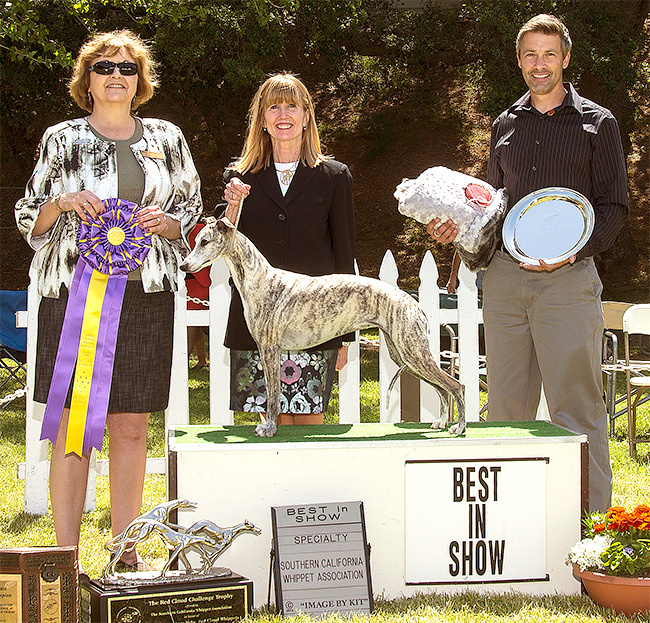 Congrats to co-owner Todd Miller and co-breeder Barb Wayne. 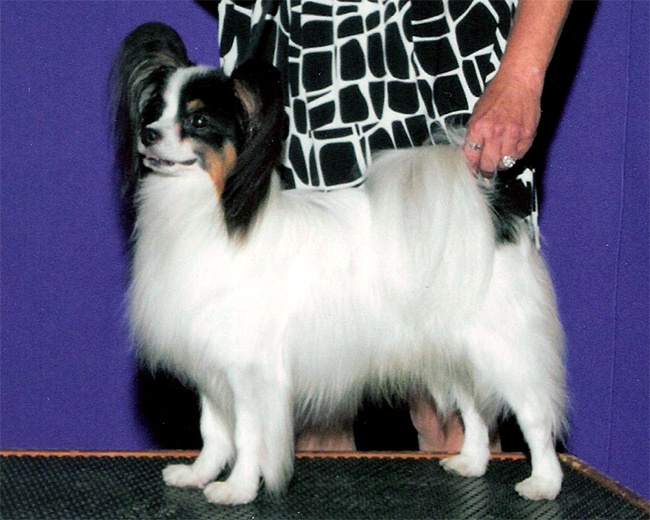 Our first Papillon, Sonic, finished his championship with 4 majors. He is now retired and will enjoy life at home where he is our beloved companion.